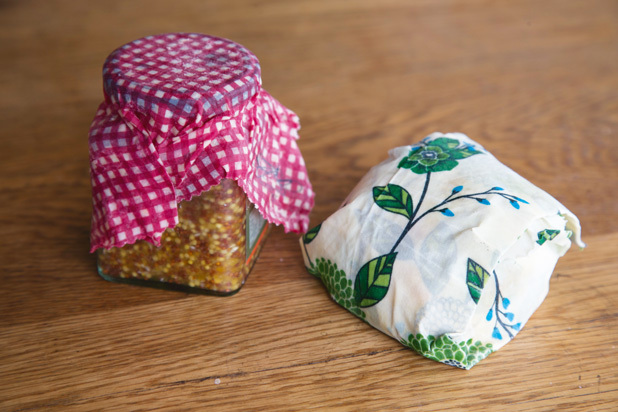 Wax food wraps are made by infusing a mix of beeswax and almond oil into cotton fabric – they are an easy-to-make, environmentally friendly alternative to plastic cling film. 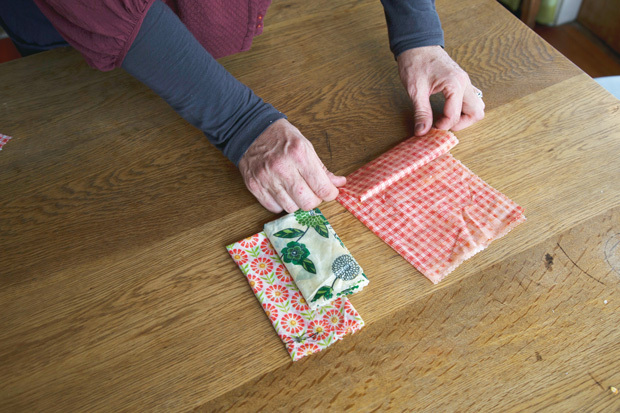 A wrap becomes sticky when warmed in the hands, which makes it easy to fold and seal around food or a bowl. Wraps can be washed in cool, soapy water and reused. As they can’t be washed in hot water, don’t use them to cover raw meat. 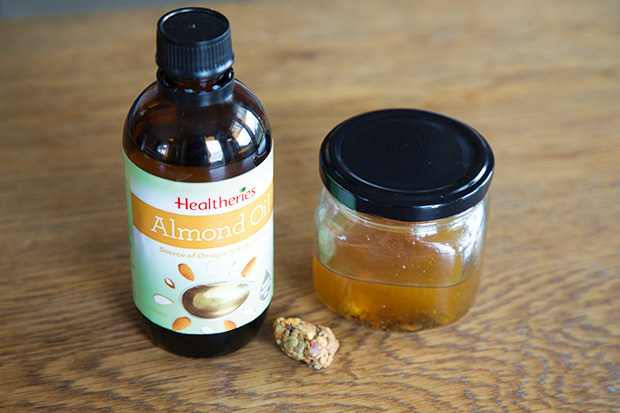 Add almond oil and propolis to a clean glass jar with a lid. Place on a sunny windowsill and allow to infuse for at least a week. Shake the jar daily. Remove propolis from the almond-oil infusion. In a double boiler add the infused almond oil and beeswax. Heat slowly to melt the wax. 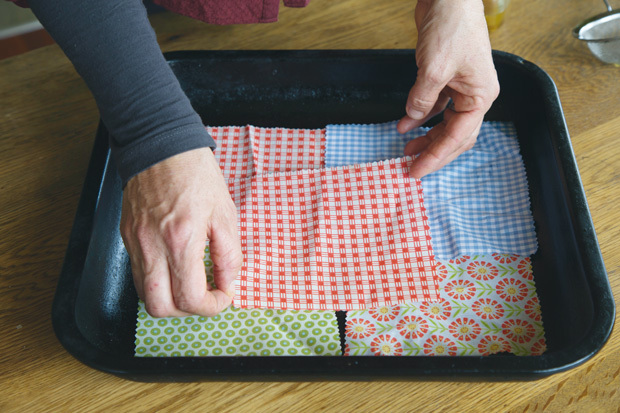 Lay cloth pieces flat on a clean baking tray and place in an 80°C fanbake oven for 10 minutes. 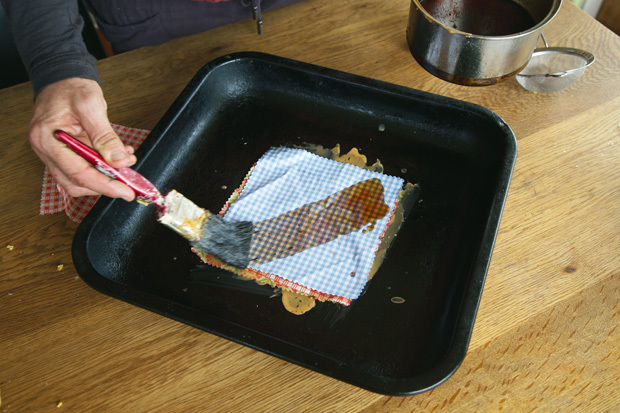 Remove tray from oven and use the paintbrush to paint each piece of cloth with the hot wax and almond oil mixture. Once painted with the wax-oil mixture, lay the fabric pieces on top of each other and return to the oven for a further 10 minutes for the fabric to become infused with wax. Remove from oven and quickly hang each piece on the clothesline. Act fast to prevent the beeswax from cooling and sticking the pieces together (if this happens, reheat in the oven). After three minutes, the cloth squares can be removed from the line and used. Beeswax is fat-soluble which means it quickly soaks up and holds onto chemicals. For this reason, we recommend using organic-certified wax or capping wax when making beeswax wraps. • Ensure fabric is colourfast otherwise, when dipped in the hot wax, the colours may bleed. • Propolis is antimicrobial, but it is expensive. The best source of propolis is from a beekeeper or search for ‘propolis chunks’ online. Many people use pine tree resin (also known as pine rosin**) instead, which is also antimicrobial, but cheaper. The resin also makes the wrap more clingy. However, it’s not necessary to use either. If using pine resin, crush it to a powder (if it’s not already) and heat it with the oil and beeswax in the double boiler. It has a higher melting point than beeswax – between 100 and 120°C. Beeswax melts at around 62°C. • You can use beeswax on its own (add in more beeswax if doing so), but without the inclusion of oil the wraps will be stiffer and harder to mould. Remember, too, that oil has a shelf life. 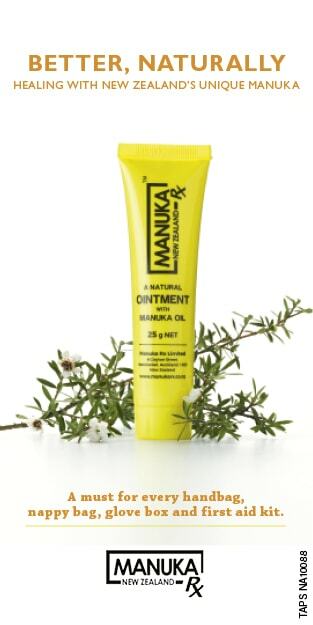 As an example, sweet almond, avocado and macadamia oils have a shelf life of about 1 year, olive oil 2 years, and jojoba oil 2+ years. • As the wax/oil mixture sets very quickly, it may be easier to pour small amounts of it straight from the double burner onto your wraps with one hand while spreading the mixture with a brush using your other hand. In any case, work quickly when it comes to applying the wax/oil medium. • To ensure all pieces of cotton are fully covered, wax one piece at a time, then place the next cotton piece on top and wax that, and so on. • After using your wrap, wash it with mild dishwashing soap and cool or lukewarm water. Hot water will melt the wax. • If used regularly, your wraps may last only a few months before the wax chips off – or up to a year if used occasionally. You can revive each wrap by placing it in the oven on a clean baking tray at 100°C for 3 minutes. Remove from the oven and, holding two corners of the wrap, give it a little wave so the wax resettles over the cotton, then hang to set. 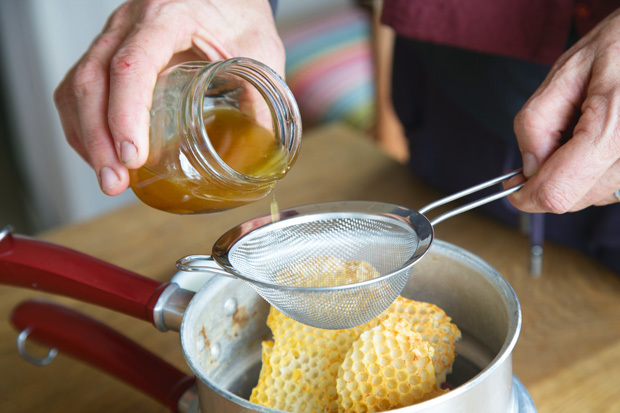 NOTE: The original ratio of this recipe was 1/3 cup grated organic beeswax, ¼ teaspoon of propolis (optional) and 2/3 cup of organic almond oil. We have updated these quantities as some people found the mixture too oily. Many people did, however, make these wraps quite successfully using the original quantities. This article first appeared in In Your Backyard: Beekeeping.